Have you ever thought about diving into the Hybrid mobile apps development? 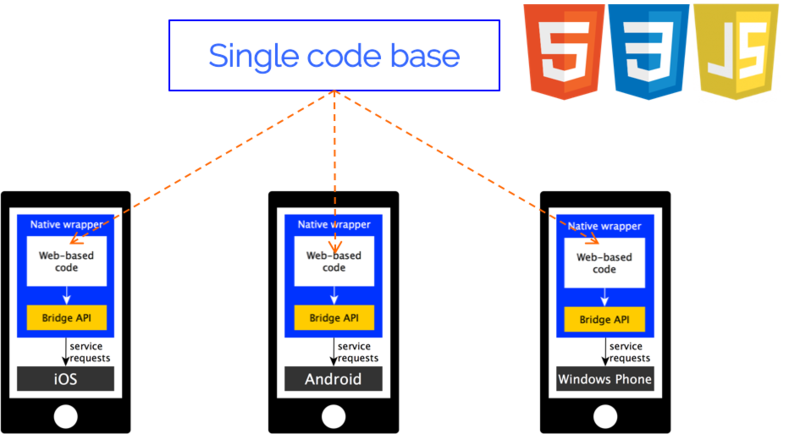 Have you ever struggled in maintaining the Android+iOS+whatever-other-platform code base of your app? Have you ever thought about what are re hybrid mobile apps published in the Google Play Store and their main traits? Have you ever wondered what is the difference between hybrid and native mobile apps as perceived by end users? Do you want to know more about Apache Cordova and its programming model? Today I gave an answer to all those questions in a tutorial at the 3rd IEEE/ACM International Conference on Mobile Software Engineering and Systems (MobileSoft 2016). Ivano Malavolta, Stefano Ruberto, Valerio Terragni, Tommaso Soru, Hybrid Mobile Apps in the Google Play Store: an Exploratory Investigation. International Conference on Mobile Software Engineering and Systems (MOBILESoft), ACM, 2015. Ivano Malavolta, Stefano Ruberto, Valerio Terragni, Tommaso Soru, End Users’ Perception of Hybrid Mobile Apps in the Google Play Store. Mobile Services (MS), 2015 IEEE International Conference on. IEEE, 2015.